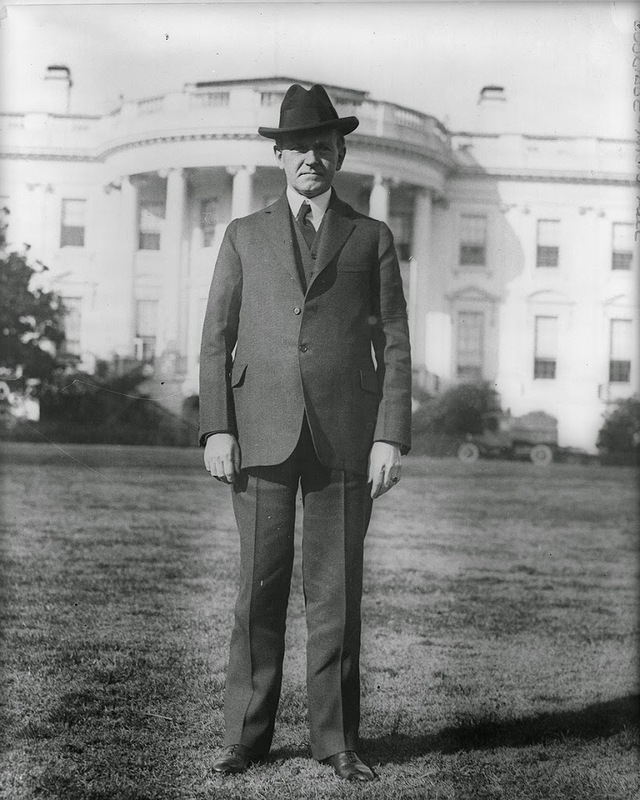 President Calvin Coolidge on the South Lawn of the White House in 1925. Image courtesy of the Library of Congress, National Photo Company Collection. 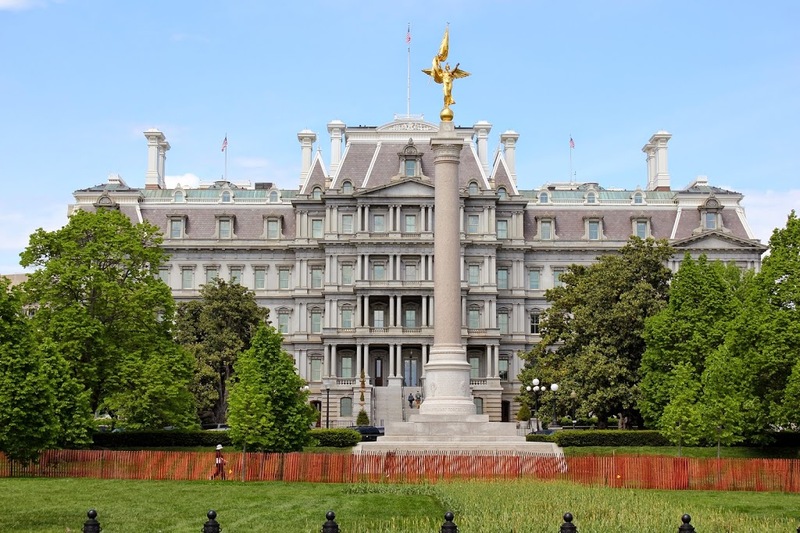 In my previous post on the White House, I mentioned some of the changes that have occurred to the building since it was first occupied by John Adams, so I’m not going to go into great detail about the structure itself. 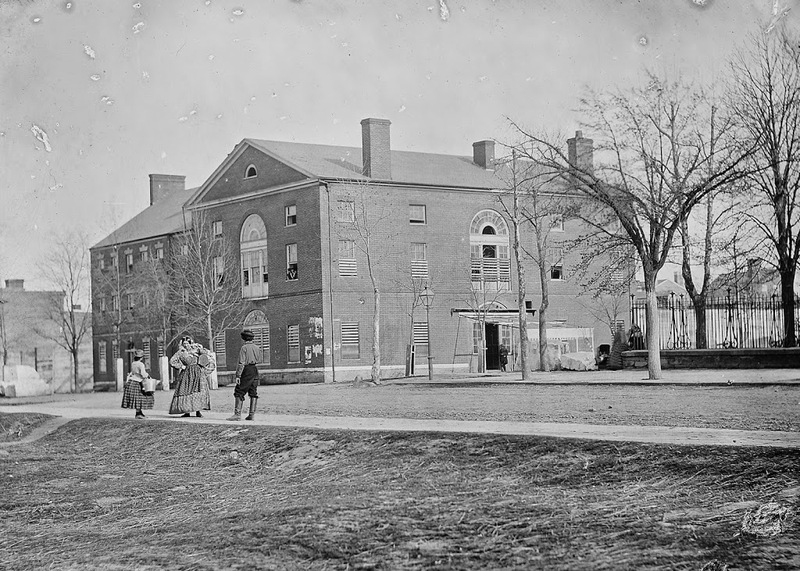 What I do find interesting about these two photos is not the building itself, but rather the people in the photos. 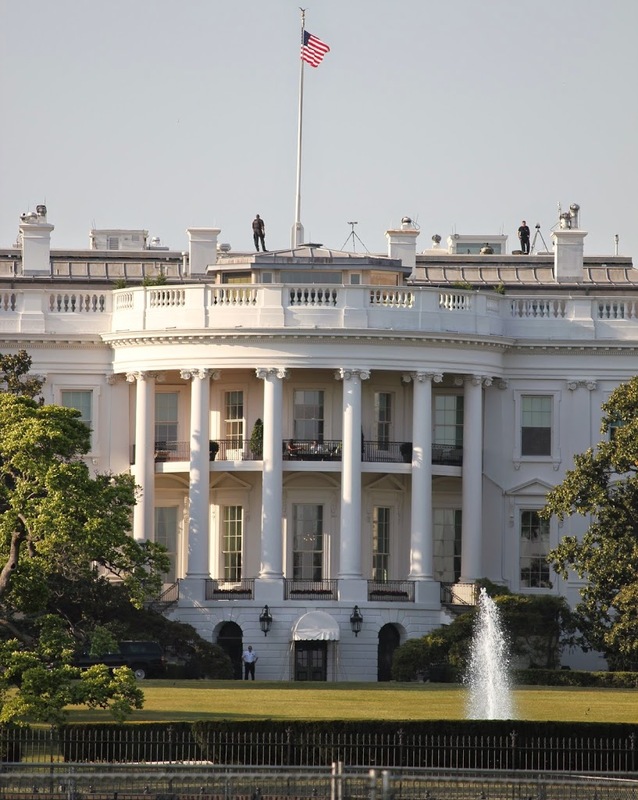 President Coolidge is clearly visible in the first photo, but look carefully at the second photo – President and Mrs. Obama are sitting on the second floor balcony, right between the two middle pillars. So, not only do these two photos document changes in the building, in transportation (note the truck to the right of Coolidge, compared to the SUV on the left-hand side of the 2012 photo), and in presidential security (note the lack of Secret Service agents in Coolidge’s photo); they also document two presidents, who served 80 years apart, and who held very different political views, but who nonetheless occupied the same office and the same building. 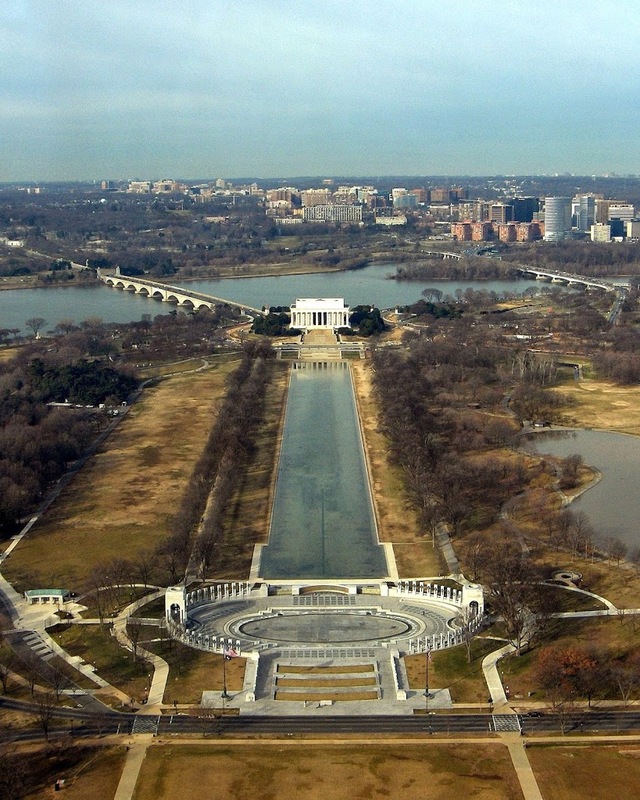 The view of the Lincoln Memorial on May 30, 1922, the day that it was dedicated, from the Washington Monument. 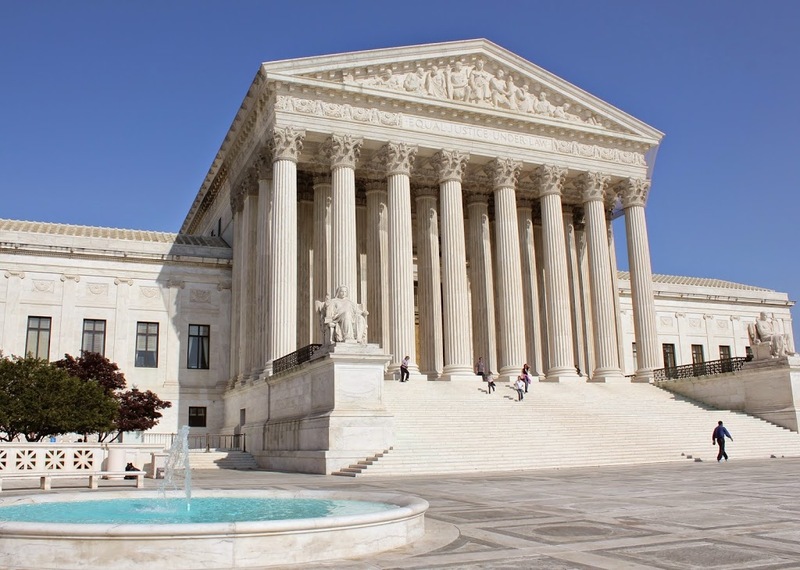 Image courtesy of the Library of Congress, Harris & Ewing Collection. 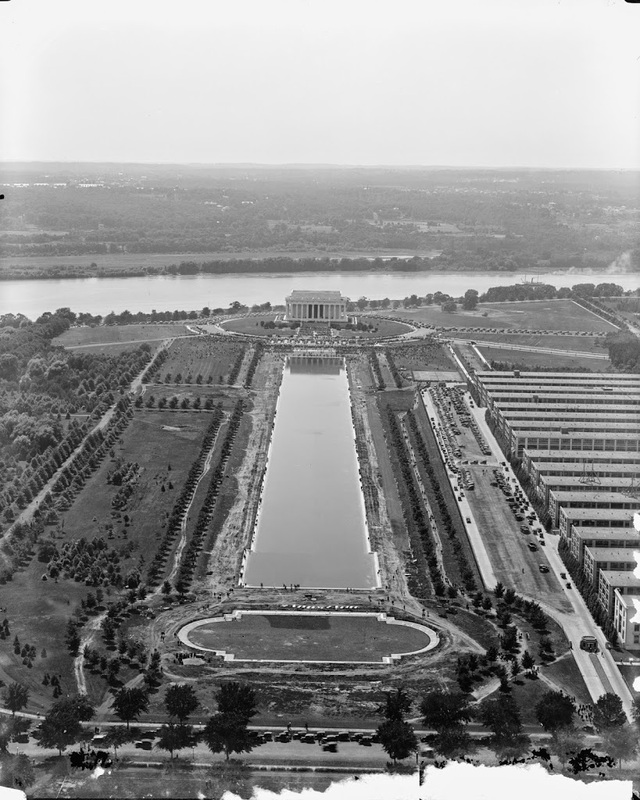 Both the Lincoln Memorial and the Reflecting Pool are iconic images of Washington DC, but in 1922 they were brand new features on previously swampy, vacant land. Today they remain largely the same, but the surrounding area has changed. Across the river, the city of Arlington has been built up, and two bridges are now visible in the scene, connecting it to DC. In DC itself, one obvious difference is the Main Navy and Munitions Buildings, which are on the right-hand side of the photo. 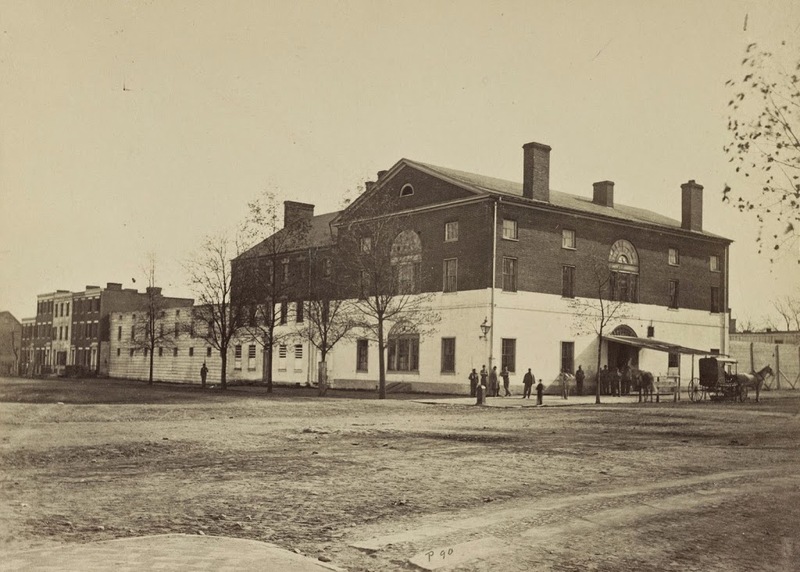 The “temporary” buildings were built in 1918, but they remained in use until 1970, when they were demolished and replaced with the Constitution Gardens as seen in the 2006 photo. 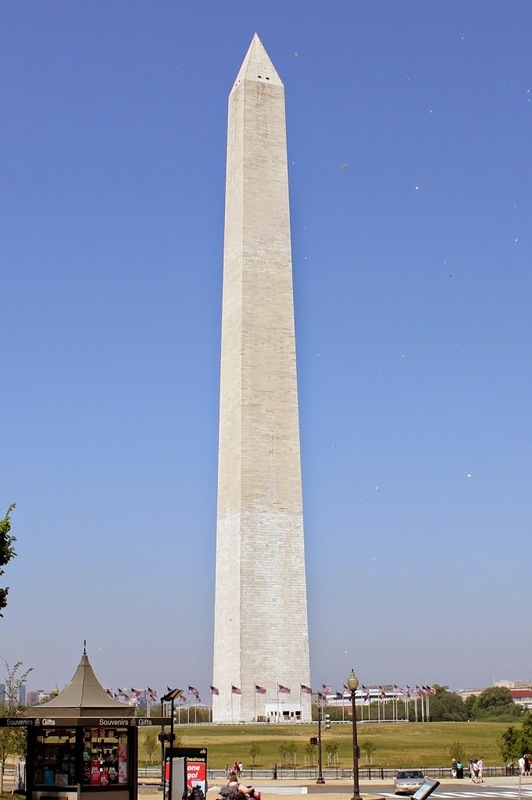 The view from the dedication of the Lincoln Memorial on May 30, 1922. Image courtesy of the Library of Congress, National Photo Company Collection. 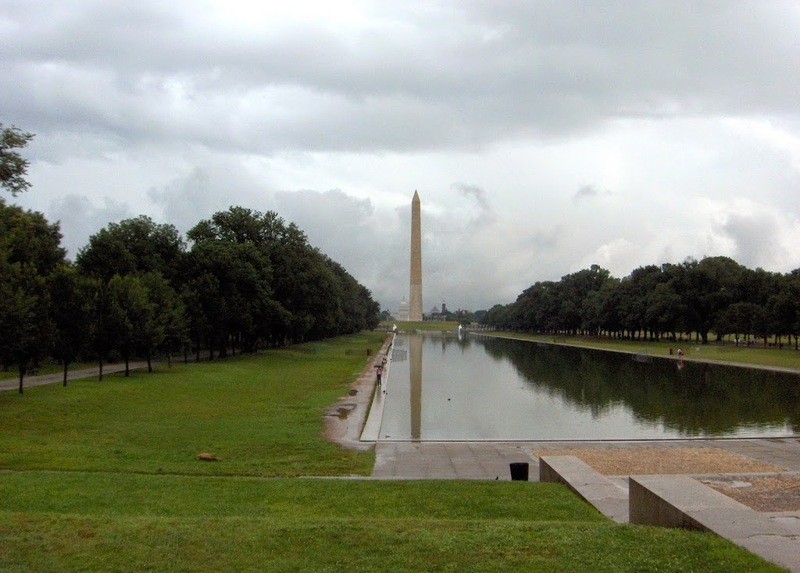 The dedication of the Lincoln Memorial attracted quite a crowd, which contrasts with the dreary, deserted view of the same scene 84 years later. Other than the people, though, the scene remains similar. 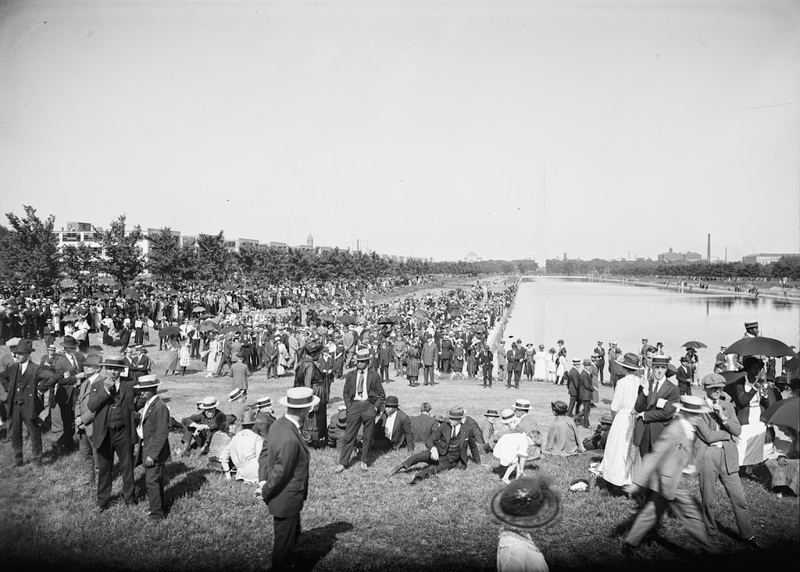 The Washington Monument and Reflecting Pool are still there, although the Main Navy and Munitions Buildings, barely visible beyond the trees to the left in 1922, are long gone now. 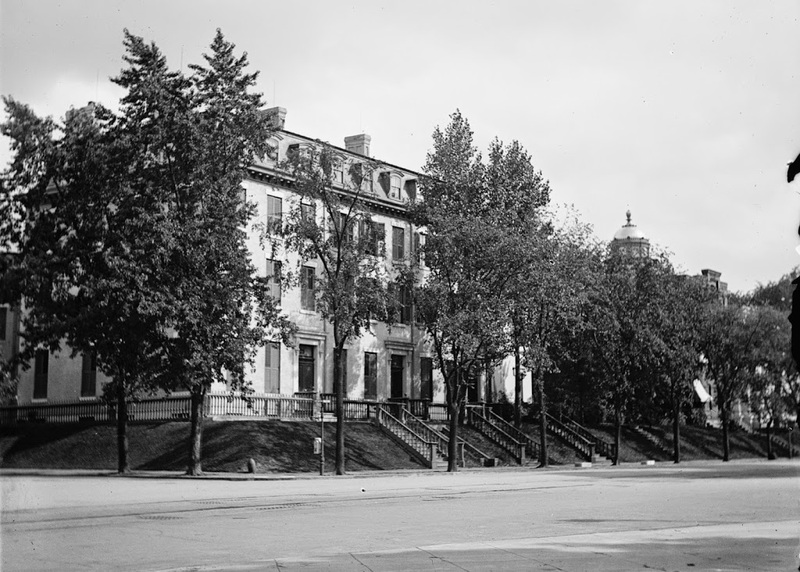 The Old Executive Office Building around 1909. 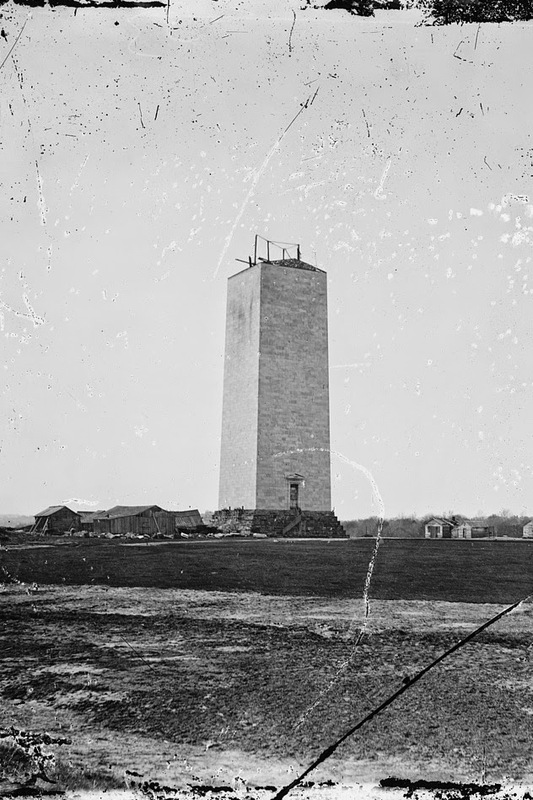 Image courtesy of the Library of Congress, National Photo Company Collection. However, probably the most unusual thing in either photo is the presence of a cow in the 1909 photo. It is, in fact, a real cow, and was actually kept for agricultural purposes by none other than William Howard Taft. 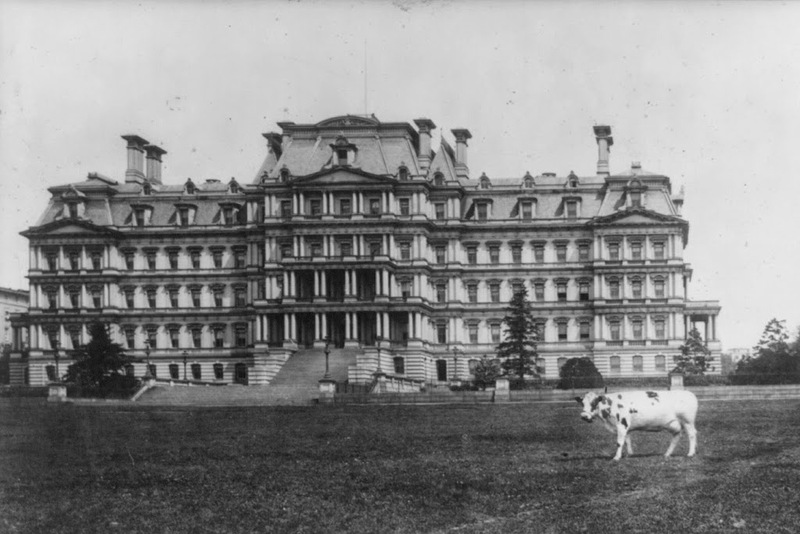 In the days before refrigeration, the best way to ensure an ample supply of fresh milk was by actually keeping a cow on the White House grounds. Named Pauline Wayne, the cow provided milk for the Taft family for about a year and a half, and was the last cow to reside at the White House [insert joke about President Taft’s weight here].